“Growth driven” describes the core methodology that informs every decision we make across all sectors of our agency. It’s an approach that’s characterized by both short and long term strategic planning, and by the development of scalable and customizable marketing products. 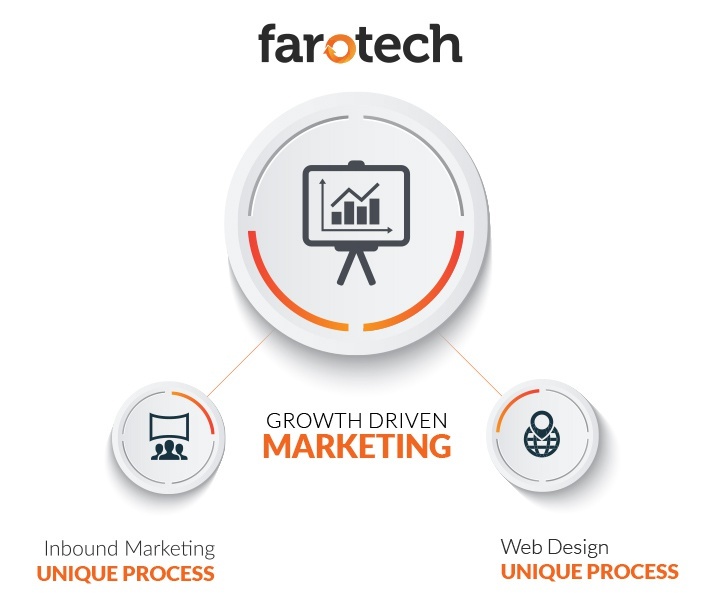 This overall methodology is broken down into the two, specific processes that we use to execute inbound marketing and web design and development. Other companies want you to pay lots of money and waste lots of time doing marketing the old fashioned way. But we just think that’s silly (not to mention, unfair to you). They build websites and run campaigns like they don’t have access to analytics. And so, they offer you services that have to be replaced every 1-2 years. 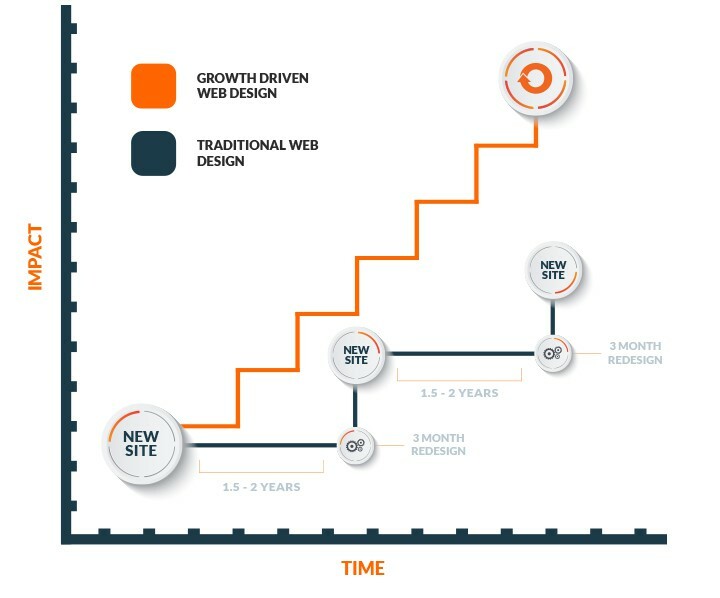 Growth driven design relies on frequent testing and commits to making constant tweaks and improvements along the way. So, rather than you making wholesale replacements of tedious marketing campaigns and expensive websites, we ask you to invest one time and then we optimize as we go – always basing every decision on real data.